Includes robot and 1 projectile. Robots and humans saving the day, working together the Rescue Bots way! Littleheroes can imagine rolling to rescue with one of their favorite Rescue MiniCon friends. They can pretend to go on daring missions and then partner upwith Drake the Dragon-Bot figure for the rescue. 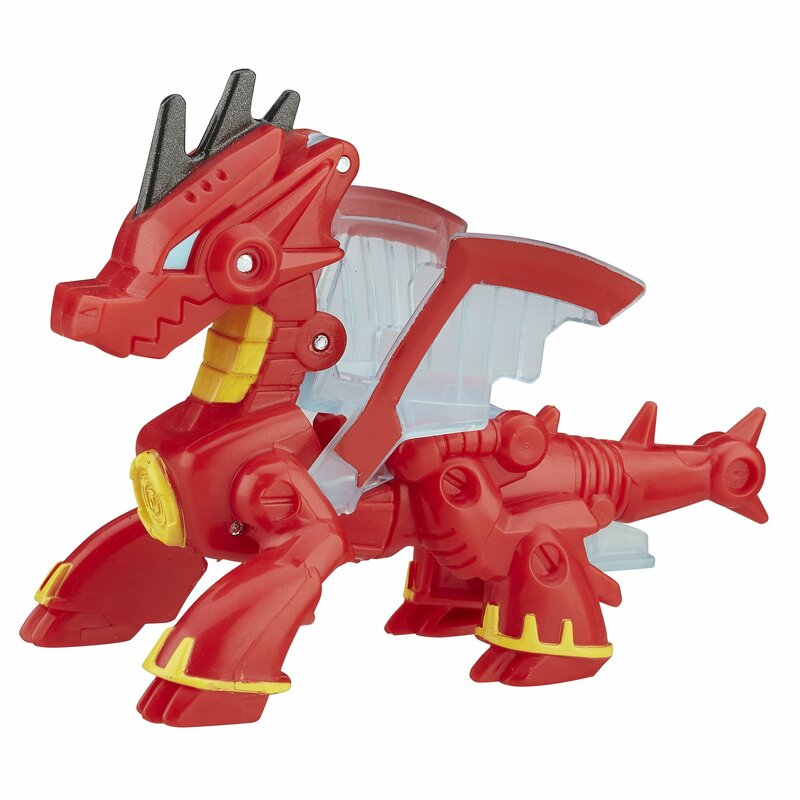 When an emergency strikes,convert the Drake the Dragon-Bot figure into an awesome projectile launcher!The day is saved thanks to the Rescue Bots and great teamwork! Manufacturedunder license from TOMY Company, Ltd. Transformers Rescue Bots is a trademarkand copyright of Hasbro.